Maris Racal Is Inspired By Iñigo Pascual. 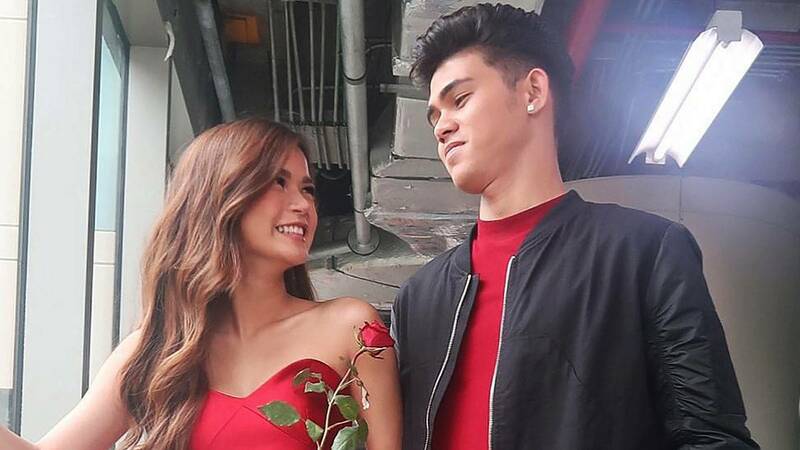 Maris Racal gushed over her rumored relationship with actor and recording artist Iñigo Pascual. Following a press conference for her upcoming Metro Manila Film Festival entry Haunted Forest, the actress-singer opened up to PEP.ph about her blossoming romance with the young heartthrob. She explained a statement she previously said on how Iñigo "inspires" her: "I mean, you wake up every day with a smile, ganun, parang masaya ka lang sa life." When asked about a mutual understanding between the two, the 20-year-old replied, "Yes, I think." And as for their relationship being "official," she said, "Not yet po, parang 'unofficially yours'—basta." In November, Iñigo shared that he was "exclusive" with Maris, which she then clarified in her press conference: "Exclusively lang kami na ayaw ko lang mag-entertain ng ibang tao. Ayaw rin niyang mag-entertain ng iba. But we're taking things slow before mag-jump sa commitment." Maris also revealed how Iñigo influences her on how she approaches problems and keeping her mind focused on her goals. She said, "Honestly, mas naging positive po ako. Ganun po talaga 'yung ugali niya, eh. 'Yun 'yung effect niya sa akin, marami kasi siyang itinuturo sa akin. Like, sa problems, 'Ganito mo siya tingnan, focus ka dito, challenge yourself.'" Iñigo also posted a pic of them that makes us ship the two of them even more. Writing on Instagram, he said: "I feel unstoppable every time I share the stage with you. I'm a fan." As for an "official" announcement on their budding romance, we just have to wait and see.